Everything to Make Your Scouts’ Experience Memorable and Fun! 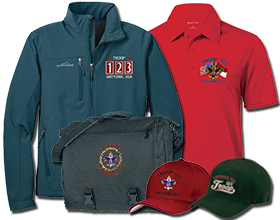 Ordering Boy Scout Troop Custom Gear is easy! 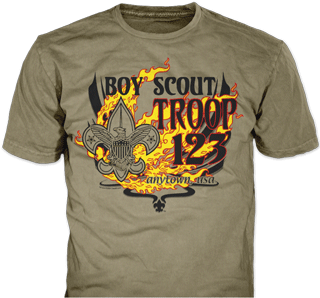 As a Scouters, We know what makes great custom Boy Scout Troop Gear. 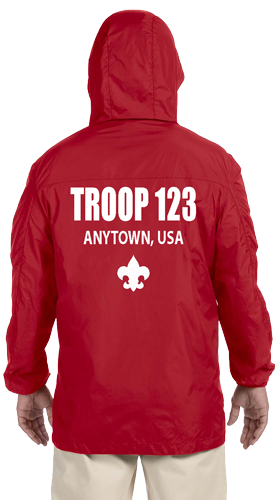 We will ensure your Troop is proud of the products they have ordered. We know what’s at stake. 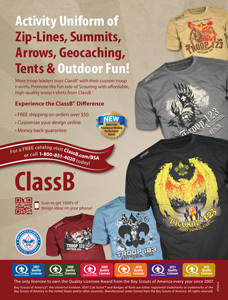 ClassB is an Official Licensee of the Boy Scouts of America. We are the only licensee to earn the Quality Licensee Award every year since its inception. What makes our products look better than others? We know Scouting. We make sure every BSA logo and element is perfect. 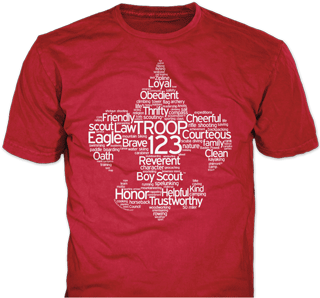 The design on your troop’s gear represents your troop and the Boy Scouts of America! As seen in Scouting Magazine! 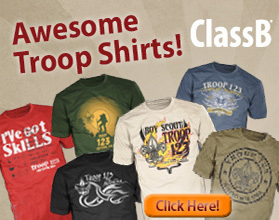 ClassB is the best source for Troop T-shirts! Caps, Polos, Jackets, Wicking Polos, Blankets, Briefcases, and much more! 100’s of color combinations to choose from! 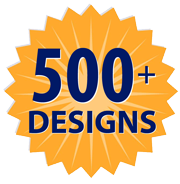 100’s of stock designs to choose from! 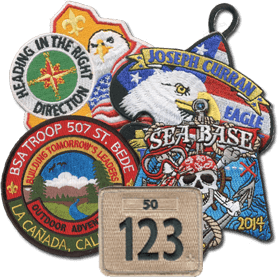 Let us design a custom patch for your troop! Many designs to choose from. Parade pole pockets available. 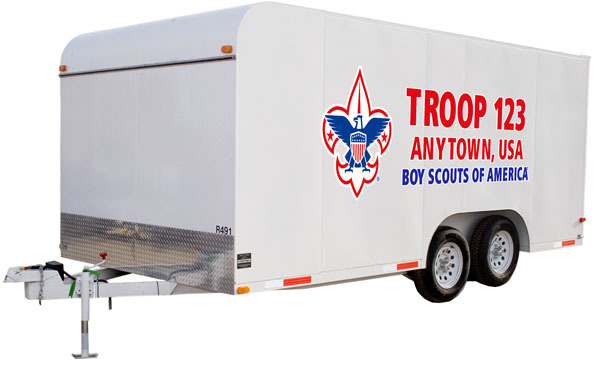 Many designs to choose from, build your troop trailer design. 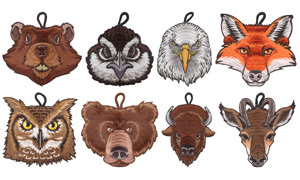 Many patrol patch designs to choose from. Custom patrol patches with low minimums. Patrol designs for adults too! Car window stickers and bumper stickers. Customize for your troop. 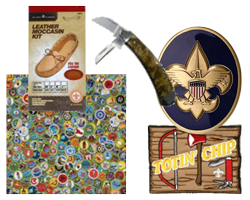 Knives, wood badge, leather working, coins, scrapbooking, graphic tees, etc. Your boys are proud to be Boy Scouts AND a part of your troop! 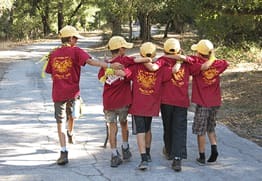 Building an identity for your troop will help to keep boys engaged and active for longer. 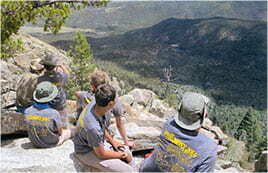 A troop may identify with pioneering, backpacking, canoeing, service, ecology, or other part of the scouting program. 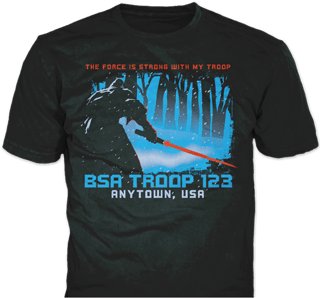 We have designs for shirts, banners, and patches that can help to connect with your scouts. 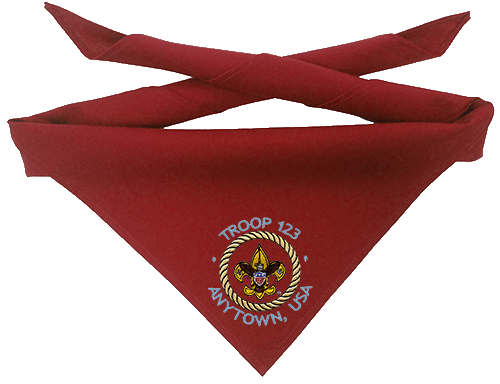 We tailor our products to help foster the spirit of Scouting. We create designs that the scouts see as ‘cool’ and ‘awesome’. Scoutmasters, scouters and parents of boy scouts tell us how much they love the products we make. 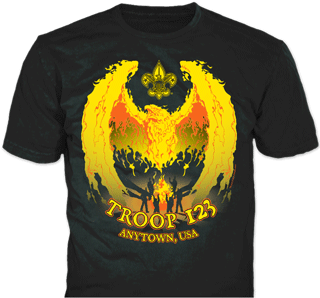 T-shirts are the best product for troop identification since the boys can wear it almost anywhere. We often do T-shirts and patches to commemorate big events like a once in a lifetime trip. 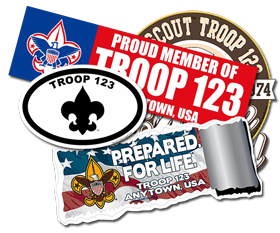 Car stickers are great for parents and older scouts to identify with the troop. It’s no easy task for a boy Scout Troop to maintain membership over the years. Between the long hours needed by adults and the hundreds of distractions facing the scouts, its an accomplishment your troop is where it is today. 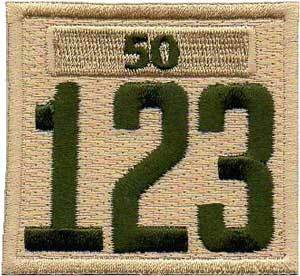 When your troop celebrates an anniversary we often do patches, car stickers, and t-shirts. A parade banner is great too, they do not cost much and it will bring a sense of pride to the parents and scouts. 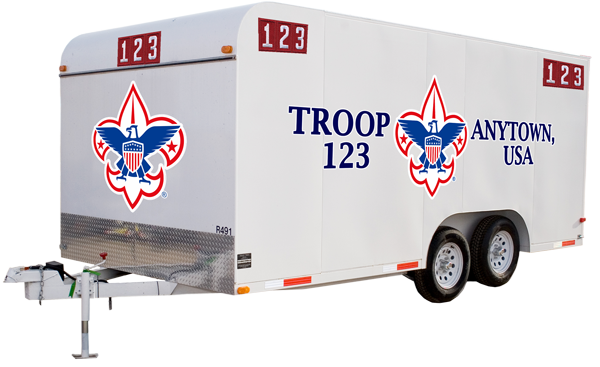 Celebrating your troop’s anniversaries tells the parents, scouts and others, how your troop contributes to the community. Their are few accomplishments that rival earning the Eagle Scout Rank for a teenager and his parents. 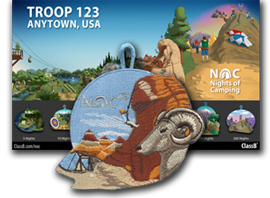 A commemorative patch is a great way to give every attendee a gift for their part in supporting the Scout. That moment usually started many years ago in a Cross Over Ceremony. First impressions are very important. Welcome your new scouts in a way that makes them feel a part of something greater. Someday one of them will be earning his Eagle in your troop. 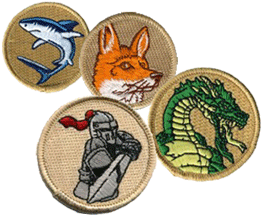 We design many cross over patches and shirts for presentation to the new scouts. A large Boy Scout Troop is an awesome thing to see. So much more can be accomplished when you have a few patrols. The BSA does a great job with materials about joining Boy Scouts. 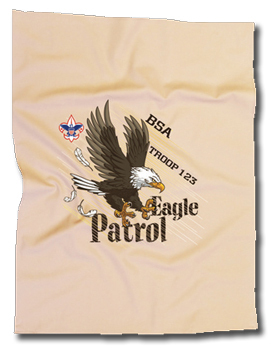 Advertise your troop with our banners! We carry banners specifically designed to promote recruiting night. 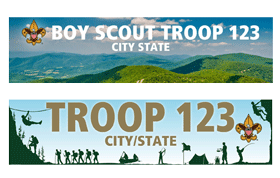 Banners are great to hangup outside the scout hut so people that drive by can see their is an active Boy Scout Troop. 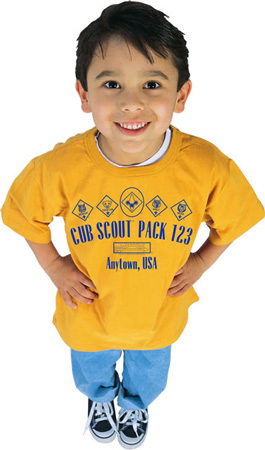 See what our Boy Scout Troop Customers have to say! 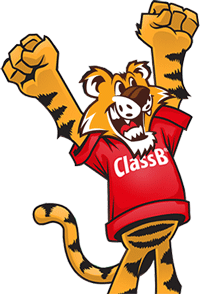 Read customer stories and see their Boy Scout ClassB® products in action!